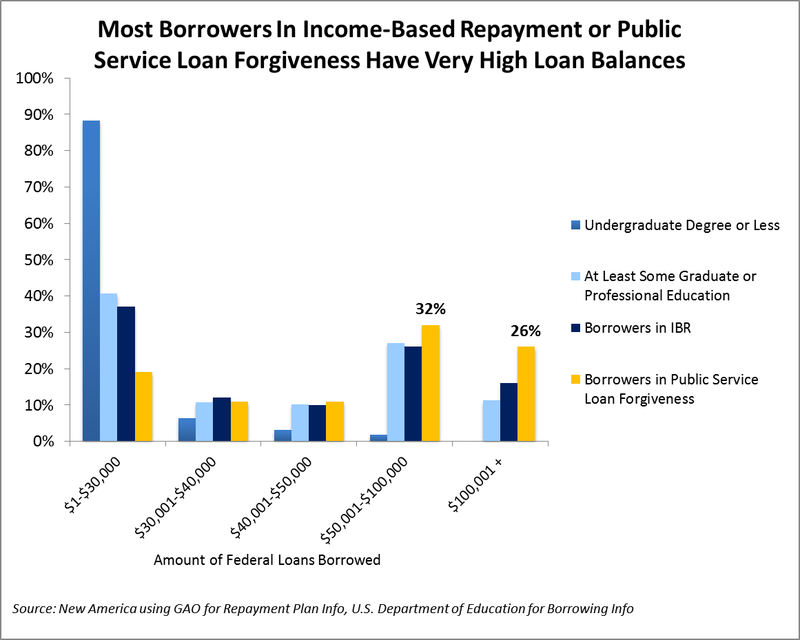 Yesterday, the Government Accountability Office (GAO) released a report on borrower enrollment in income-based repayment plans for federal student loans. While some of the report's findings are out of date (enrollment in the plans has grown 70 percent since the GAO conducted its analysis) the report sheds new light on these repayment plans. 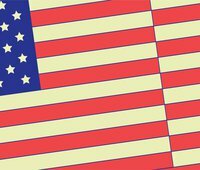 We’ve long argued that Public Service Loan Forgiveness (PSLF), the program that promises loan forgiveness after ten years of working for the government or a non-profit, mainly benefits students with graduate degrees because they have enough debt to accrue significant benefits -- and they can borrow effectively unlimited sums to finance their educations. The GAO seems to bear this out when it says that 80 percent of those enrolled in PSLF borrowed more than $30,000. The figures for PSLF enrollment are only for borrowers who “certify”, meaning they submit paperwork showing that payments they are making count toward PSLF. Borrowers who do not certify can still retroactively claim PSLF, so the universe of eligible borrowers is larger than what’s represented in the GAO report. Even so, certifications are growing rapidly. About 7,000 new borrowers certify their PSLF eligibility every month. And those who certify are the most likely borrowers to follow through on all of the PSLF requirements. The GAO confirmed that 25 percent of workers in the economy were employed in a job that qualifies for PSLF. But then the GAO makes an odd logical leap. They projected PSLF enrollment would peak around 400,000 students, assuming “rates of public service employment are comparable among Direct Loan borrowers across repayment plans.” In other words, if borrowers enrolled in income-based repayment are no more likely to qualify for PSLF than borrowers in other repayment plans, or the general population, the estimate is a sound one. But they are probably more likely. Employees in PSLF-eligible jobs are likely to gravitate toward income-based repayment over other repayment options so we should assume that those borrowers are over-represented in income-based repayment plans relative to other plans. The Department of Education announced a few weeks ago that 16 percent of borrowers (in Direct Loans) are using income-based plans, known as Income-Based Repayment (IBR) and Pay As You Earn (PAYE), a figure that is growing rapidly. A year ago it was just 11 percent, and the GAO says many more borrowers who aren’t enrolled qualify. The GAO report casts those enrollment trends in a new light. It shows that some 73 percent of borrowers in IBR and PAYE are earning less than $20,001, which means very few are making any payments thanks to a provision that exempts a borrower’s earnings equal to 150 percent of the federal poverty line adjusted for household size. Meanwhile, according to the report, 14 percent of borrowers in IBR and PAYE borrowed over $100,000, and the most recent data from the Department of Education show the average balance for all borrowers in those programs is $52,500. Such low incomes and high balances helps explain the finding from a different study last week showing that most federal student loan borrowers who entered repayment two years ago owe more on their student loans today. On the one hand these facts show that IBR and PAYE are working. That was how supporters of the program interpreted the GAO report. Borrowers making less than $20,001 can’t possibly afford to make payments on a $52,500 loan under a standard amortization schedule. On the other hand, the same statistics are alarming. They show that over two million people have borrowed federal loans worth $52,500 on average and after leaving school are earning less than $20,001. No one should be relieved to learn that students are borrowing far more than their incomes can support. Maybe those borrowers will eventually be able to repay the debt and the picture isn’t so dire. Perhaps their incomes are only temporarily low and as they earn more they will repay the debt. The more generous terms implemented by the Obama administration actually make that less likely. Under those terms, someone earning $20,000 today with a loan balance of $52,500 will quickly need to boost his income to $60,000 to repay the loan in PAYE. Otherwise he will have a balance forgiven. That brings up our final point. Given that borrowers in IBR and PAYE have such low incomes and high debt levels, the plans look much more like very long-term programs for borrowers, not sources of temporary relief."